The Portneuf Valley Pony Club participated in three different rallies a couple of weeks ago. Our club did an amazing job working together as a team and cheering everyone on. The first rally was the Dressage Rally. As a team they took 4th overall with great rides. 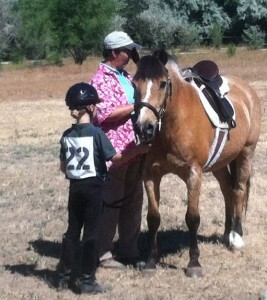 It was difficult to learn two different Dressage tests and ride in the awful heat, but they did an amazing job. The next rally was the Show Jumping Rally which meant each rider had to memorize three different courses. As a team they took 6th overall with many great rides. They also tied for 1st in the horse management portion of the competition which means they definitely know how to take great care of their horses and be safe around them. They are to be commended for this achievement. In the Tetrathlon Rally, they competed their hearts out. They each had to run, swim, shoot, and ride. Each member excelled in different phases of the competition. We were really proud of them overall for their team work and ability to push through long hot days in the sun.